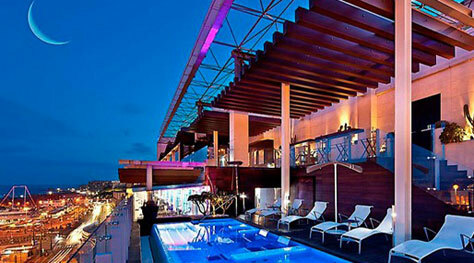 As bold as it is beautiful, Romeo Hotel is no ordinary 5 star property. The world famous architectural firm, Tange & Associates, were responsible for the transformation of the, somewhat grim, Palazzo Lauro, sat directly opposite the port of Naples, into a dashing new design hotel, home to a unique collection contemporary artworks and, as of 2011, the first luxury urban spa in the center of Naples: the Dogana del Sale Romeo Wellness. The spa owes its name to the neighboring 16th century edifice, Vico del Leone, which was once a dogana, or salt customs office. 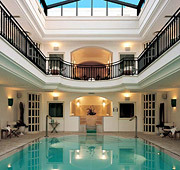 This is where the hotel's soon to be inaugurated wellness suites, linked directly to the spa, are located. As the name of the spa suggests, sale ('salt' in Italian) is a major protagonist in this 1000sqm oasis devoted entirely to guests' wellbeing. Salt therapy, also known as 'Halotherapy', is an effective way of decongesting the airways, boosting the immune system and promoting healthy skin. The Dogana's salt treatments exploit the anti-bacterial properties of micronized sodium chloride: a substance which ionizes the air and balances negative and positive ions. The exclusive Stanza del Sale, or 'Salt Room', is the perfect place in which to enjoy the multiple benefits of salt therapy. The walls of the Salt Room are entirely enveloped in pure white salt. The constant room temperature and humidity significantly amplify the beneficial effects of sodium chloride in its natural state. As they unwind, clients' skin and airways absorb the tiny particles of micronized salt, with quite amazing results: just 30 minutes in the Salt Room will give you the health and beauty benefits of a whole 3 days by the sea! 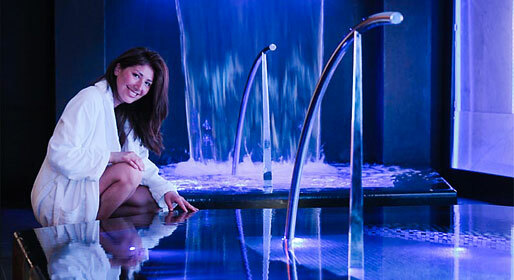 Design, science and technology effortlessly co-exist in the Dogana del Sale spa. The walls of the infrared sauna are coated in Himalayan pink salt, known for its positive influence as far as the elimination of toxins and cholesterol are concerned. In the three hydromassage pools, the lights, music and colors are continually modulated so as to facilitate psychophysical harmony. Other facilities in the spa include a Finnish sauna, Kneipp paths, a Turkish bath, emotional showers and a frigidarium with snow cascade. Among the top class services available, the Life Quality Program is one of the most exclusive. The program, which includes gym sessions with a personal trainer, beauty treatments, nutritional advice and spa therapies, is tailor made to meet each individual client's requirements and goals. For sporty types there is a 300sqm fitness room equipped with all the very latest Technogym appliances and a virtual golf station with maxi screen, just like those used by professional players. And, for parents who want to indulge in a little pampering without having to worry about the little ones, there's a Kids Garden where children are free to play, under the guidance of qualified minders.